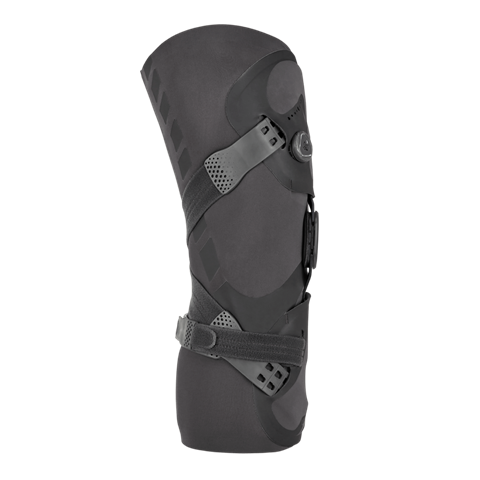 Unloader One Lite is a slim and low profile knee brace that relieves pain from knee osteoarthritis and degenerative meniscal tears by means of the clinically proven Dynamic Force System that provides uni-compartmental unloading of the knee joint. With an integrated Lycra® sleeve and soft edge shells, the brace is an optimal combination of comfort and sleek look. Unloader One Lite is a slim and low-profile knee brace that is designed to relieve pain from knee osteoarthritis and degenerative meniscal tears. Multiple peer-reviewed clinical and bio-mechanical studies have investigated Össur’s unique 3-Point Leverage System and Dynamic Force Straps, which are easily fine-tuned using the SmartDosing® system that provides uni-compartmental unloading of the knee joint.